You are currently browsing the Athletic Tape Info Center blog archives for November, 2010. Depending on the taping method used, RockTape kinesiology tape can be used either therapeutically or to enhance athletic performance. When the Rock Tape PowerTaping protocol is used, athletic performance benefits can be significant for athletes participating in endurance events. Delayed onset of fatigue and greater endurance result from improved blood flow to working muscles, better removal of lactic acid and enhanced muscle activation, which improves efficiency of movement. This makes it a high-demand item at endurance events such as marathons and triathlons. 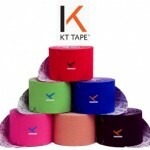 Kinesiology tape can be applied in different ways to achieve different benefits. 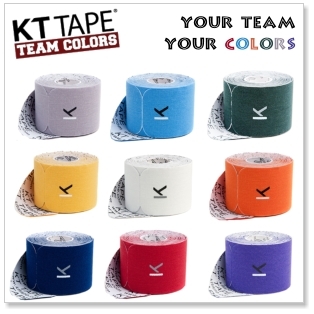 One of the main taping techniques is to provide structural support for weak or injured muscles or joints. 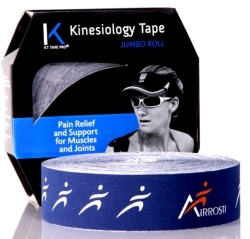 Because of its elasticity, kinesiology taping is not suitable to provide rigid support for a severe injury or to stabilize an unstable joint. It can, however, be used very effectively to prevent potentially harmful ranges of motion or to improve static or dynamic postures. The following video was produced by the makers of SpiderTech Tape, to explain and demonstrate how kinesiology tape can be used to provide structural support for a muscle group or joint.